One of the simplest possible formulas involving an infinite sequence of nested square roots is . From that, it can be easily seen that . The positive root of this quadratic equation is , which is none other than the golden ratio, known to Euclid and the ancient Greeks. 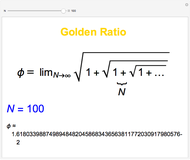 This is also called the golden mean, golden section, and divine proportion. 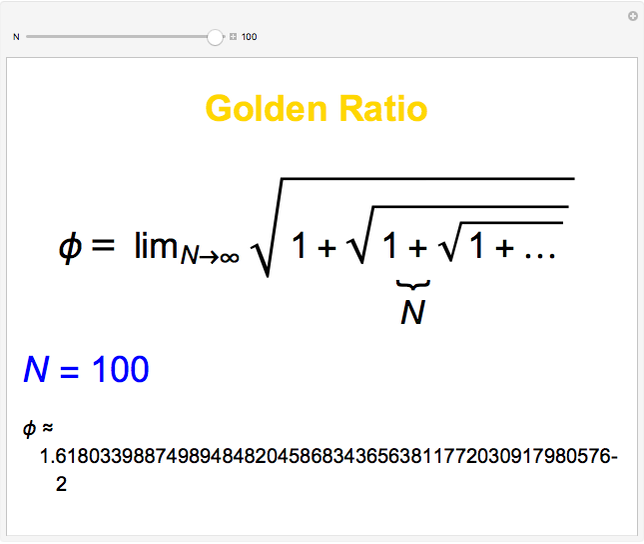 This is also equal to the limiting ratio of successive Fibonacci numbers: . 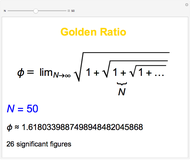 Mathematica can readily compute multiply nested functions. With , the sequence of square roots can be computed using Nest[ , , ]. 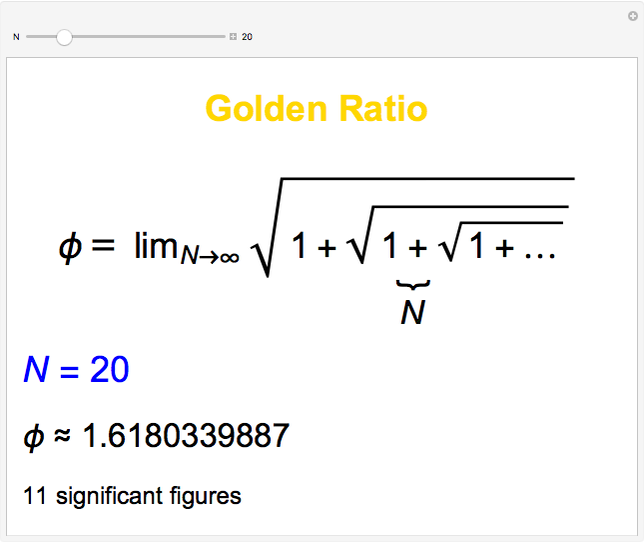 This Demonstration lets you compute approximations to containing up to 100 square roots. 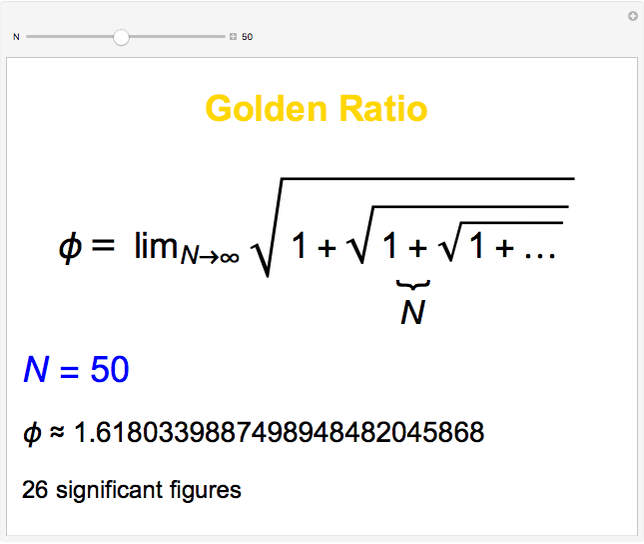 For each value of , the accuracy, expressed as the number of significant figures, is also given. 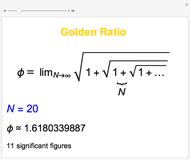 S. M. Blinder "Nested Square Root Representation of the Golden Ratio"